Just fill out some basic information to help us get you set up with dealsnapt™. The company name, user name, email address and phone number are used to help us locate your store and shopper-created deals. Once you CLICK 'Sign Up Now' you can add your first store and deal. You can also search to see if your store is already in our database and if users have already 'snapt' deals at your store. Engage with shoppers– shoppers can create, share, rate, save and comment on deals for any store. By subscribing to dealsnapt™ you can see these deals, engage with the shoppers and take the lead on generating deals and measuring deal success. A highly intuitive WEB interface lets you sort, filter, find, and create stores, deals and events. 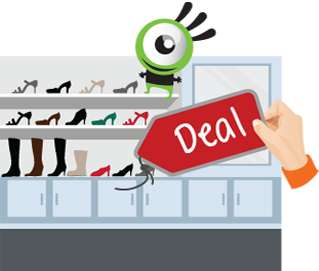 See what a deal or event will look like in dealsnapt™ BEFORE it is activated. Update a deal or event on the fly based on traction, feedback, quantities or your staffing levels. By verifying a store you can now add your logo, hours of operation, store pictures and more. dealsnapt™ will take care of the location information for you. Add deals that create a buzz for shoppers. Deals are redeemed in-store. You set the price, quantity, and for how long the deal runs. Add images to make your deals more appealing. If your deal is a FLASH deal (less than a day in duration), it will be promoted to a highly visible part of the dealsnapt™ app. Inform consumers about what is happening at your venue or where you are going to be with events. 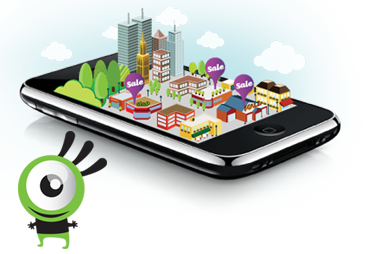 Followers of your location are instantly made aware of any updates you make to your deals, events and store. Also, shoppers can continue to create deals at your store, rate them, comment on them and share them…a great way to continue the engagement and increase intimacy. 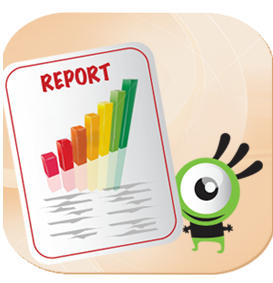 dealsnapt™ tracks the performance of your deals, events and stores with up to the minute reports. Review whether the increased discount you put on an item or whether a FLASH deal resulted in increased views, higher ranking, more comments and increased sharing. Measure your ROI with redemption tracking. dealsnapt™ will also trend your information by day, week, and month. Understand what is working and what is not. The most significant differentiator of dealsnapt™ over other ad networks is user engagement. Using dealsnapt™ merchants can acquire customers but more importantly they can start to build intimacy with them and their social networks. Find deals, events and stores around them or at their destination – while sitting in a coffee shop, a shopper can look for what is going on nearby to make the most of their outing. Search for deals, events and stores – by item type or category results are shown by closest venue first. 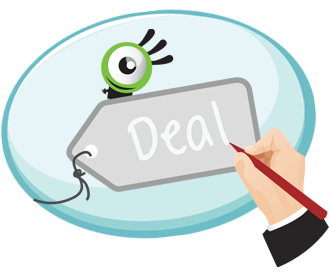 Create deals - a shopper can publicly post a deal from your shop to share with friends or save for private use. Redeem deals – for enhanced tracking and inventory control you can set a deal up for secure redemption at your store. Save deals, calendar events – similar to a personal shopping list, deals are tagged for future reference. Events are added to the calendar with counts visible to the merchant. Share deals and events – deals can be shared via email, Facebook or text message. By clicking on the link, shoppers' friends are brought directly into dealsnapt™. Comment on deals and events – comments are stored chronologically so merchants can see what others are saying. Rate deals and events – shoppers can give a thumbs up or a thumbs down, giving merchants an idea of how appealing the deal or event is. Follow stores – shoppers can mark stores to follow. Any new deal or event at the store is easily accessible to everyone that is following the store. Savings – shoppers can see how much they saved based on redemptions and purchases bringing them back into dealsnapt™ to save more.